What motivates a company to want to “do good” (social objectives) beyond just “doing well” (economic objectives)? Are the two mutually exclusive, or is there a spectrum in between? Should businesses care, and if so, can they convince their shareholders of the value of using funds for this purpose? These are the provocative questions that our host faculty, Frédéric Dalsace of HEC Paris, challenged us to think about as we began our journey at the Paris mid-semester module. We learned that there is, in fact, a spectrum of activities — and not just “black and white” extremes — in which companies can engage in social business. 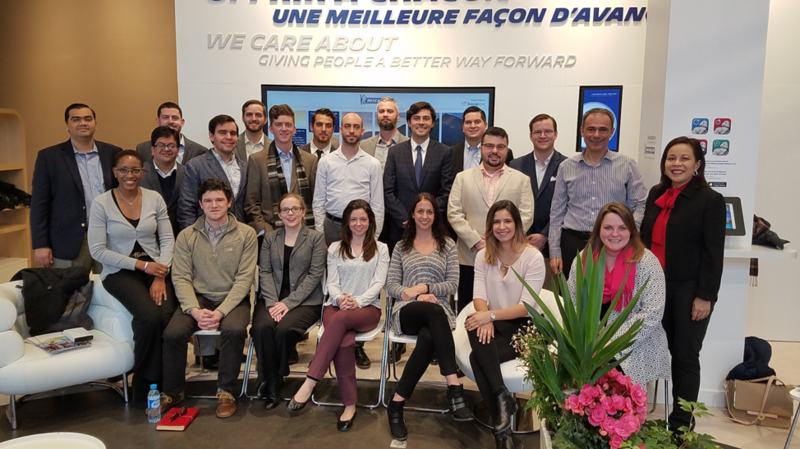 To help us answer these questions, we visited various French companies who have a particular strength in this area, including Michelin, Danone, Veolia, Renault and L’Oréal, among others. We also had the opportunity to visit the U.S. Embassy and hear insights and current challenges from Economic Officer Daniel Wald. We learned not only about the cultures of the companies and how that connected to why they chose to engage in these ventures, but examples of specific engagements they have undertaken and the outcomes, learning opportunities, and rewards associated with them. One common theme we saw was that the culture of the companies was highly aligned with the social endeavors they undertook. For example, at Danone, we learned about the social projects that ensued when the company asked the hard question of what it could do about the four billion people without access to clean water. We found that employees believed so strongly in the social mission that they chose to give back out of their own paychecks to be a part of it. It was quite inspiring to hear their stories and made us think how we could integrate this experience with our business studies back home. In true Goizueta community style, our evenings were filled with social activities on our own that spurred meaningful conversations into the wee hours, and an opportunity to explore the unique offerings of the city, such as its world-class food and wine, along with rich history. Because this was my second international trip (I went this time as a TA), I can add that one common theme between the two trips was a unique bonding experience with classmates that goes far beyond anything that I’ve experienced on campus. 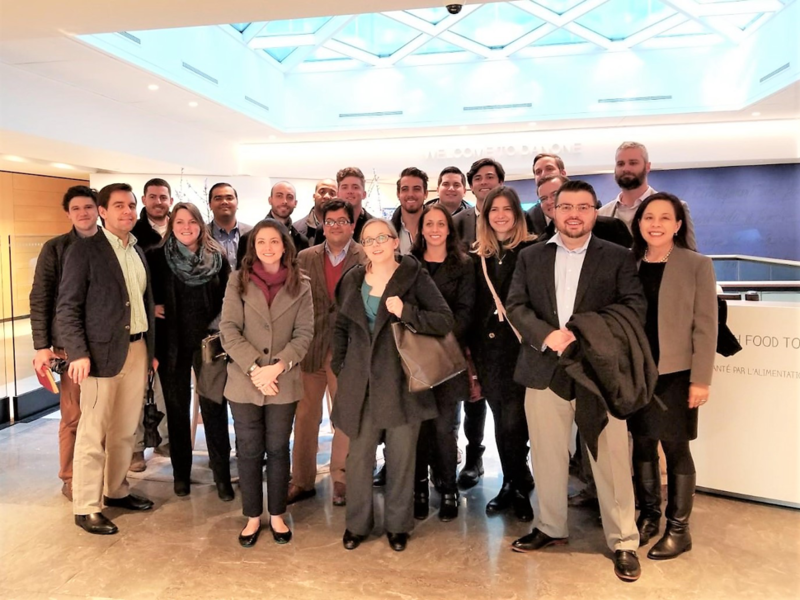 Frankly, going on these trips gave me a renewed sense of respect that it is a requirement to study abroad for the MBA program, and I formed lasting friendships with memories I won’t soon forget. 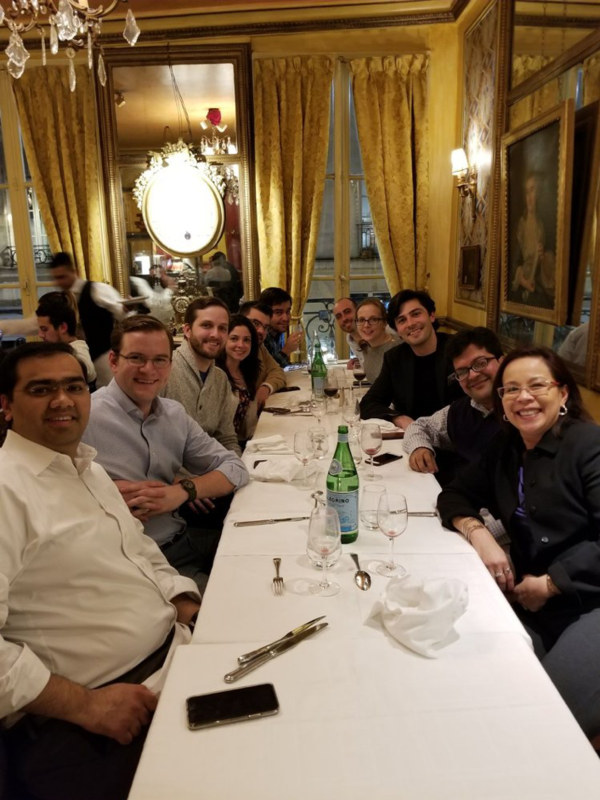 Our time together ended with a multicourse traditional dinner featuring coq au vin at the oldest restaurant in Paris, Le Procope, which was established in 1686. Many students chose to stay for a few extra days to explore Paris or nearby countries, and we returned home with the kind of fresh perspective that could only be gained from time to reflect away from our usual surroundings. The academic goals for our trip centered more around questions than answers, and thus the answer to my initial questions in this post are intended to be answered by the reader. The real question, however, is: can we go back now?